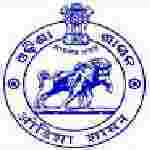 Odisha Government recruitment 2017 notification has been released on official website www.odisha.gov.in for the recruitment of total 34 (thirty four) jobs out of which 07 (seven) vacancies for Pharmacist, 19 (nineteen) for Attendant & Various vacancies. Job seekers should apply on or before 16th December 2017. Here on this page you will get the details like the Name of vacancies released by Odisha Government with exact number of posts. Some other criteria like Education details, application fee and way to apply application for Odisha Government recruitment 2017. Educational Qualification: Passed +2 science examinations under council of Higher secondary Education and Diploma in Pharmacy in any of the medical college for S.no-1. Passed ME (7th) examination or equivalent and can read, write and speak in Odia for S.no – 2. Age Limit: The age of candidate should be between 21 to 32 years as on 29.11.2017. Interested and eligible aspirants should apply in prescribed application form along with self-attested photocopies of educational qualification certificates of marks sheet send by registered post/speed post/currier to Office of the Chief District Medical Officer, Angul, Odisha on or before 16.12.2017.